Very often, when buying already assembled system unit, the user wonders what it is the mother Board installed in the purchased computer, and what equipment it has. How to be in this situation? The computer program is Everest, screwdriver. The easiest way to understand what mother Board is installed in the computeris take the screwdriver, Unscrew a couple of screws, remove the side housing cover and see the marking, which is indicated on the Board itself. Most often the model name and manufacturer is indicated on its upper side. However, most often the computer case is sealed and, in case of violation of the integrity of the stickers, lose the warranty. You can pay attention to the display while booting, when among other information about the system settings displayed with the manufacturer name and model labeling the motherboard form ASUS A7N-8X” or “GIGABYTE GA-5436AL”. The most correct way is to use one of the utilities that identificeret all the computer hardware and allow you to determine the full information about the whole system and all its components. The most popular program of the series, it's Everest, Aida and SiSoftware Sandra. It is worth noting that Everest is the most informative and convenient of all the above. So, install Everest on the computer and starts. Later in the program window, in the left part we see a menu where among other things there is a “Parent fee”, which includes a sub-item with the same name. 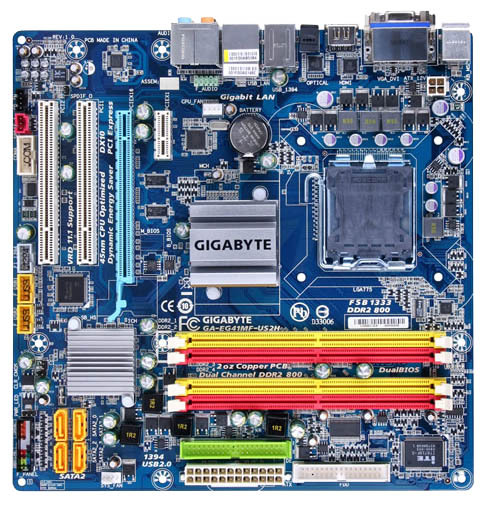 Clicking on it, in the right pane of the screen displays detailed information about your motherboard, including its main parameters, characteristics, properties, as well as the model name and manufacturer. However, the program allows you to find the most comprehensive information about installed hardware on the motherboard North and South bridges, socket type, memory controllers and interfaces, integrated web, audio and video cards, as well as information about potential problems detected during its operation.